The mother of one of the Christchurch mosque attack victims has reportedly died of a heart attack just hours after her son’s funeral. 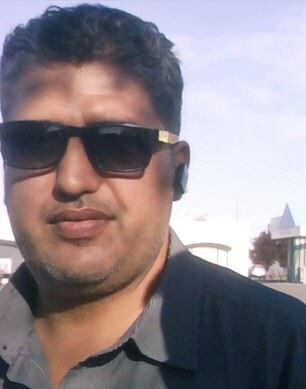 Saud Abdelfattah Mhaisen Adwan’s death has been blamed on the grief of losing her son, Kamel Darwish, in the terror attack in New Zealand which saw 50 worshippers gunned down ten days ago. The 38-year-old moved to Christchurch from Jordan six months ago and was awaiting the arrival of his wife and three children. The dairy farmer had been convinced to move to New Zealand by his brother, who had lived there since 2007 and said it was a ‘safe place to raise a family’. 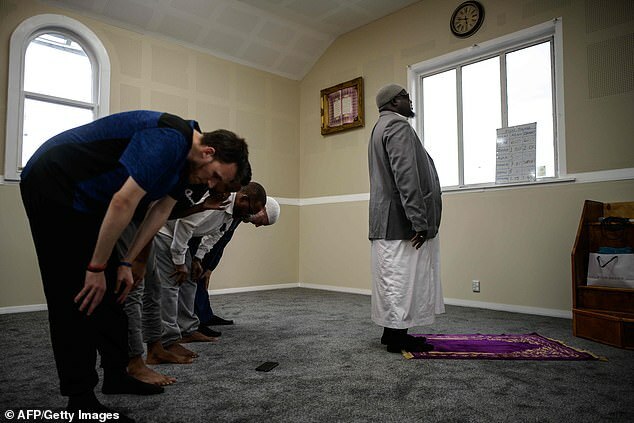 But he was shot dead along with 49 members of the Islamic congregation across two mosques in Linwood and Riccarton on March 15. He was laid to rest on Friday, but his mother suffered a cardiac arrest and passed away during the night, according to an official from the Jordanian Embassy in Sydney. 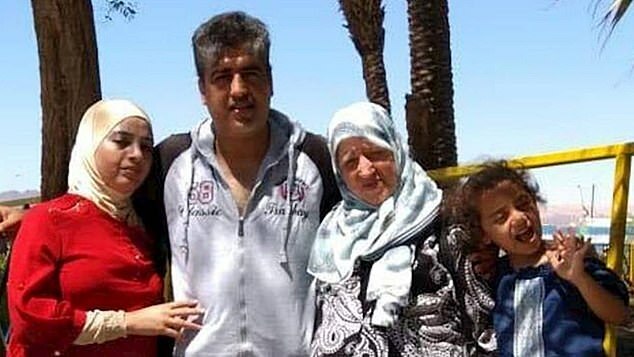 Adwan, who already had a heart condition, arrived in New Zealand from Jordan on Thursday with Darwish’s wife Rana and their children for his funeral at the Memorial Park Cemetery in Linwood, according to Stuff. Her family reportedly found the 65-year-old grandmother dead on Saturday morning. Family friend Yaser Mohammad said she died because she could not bear the sadness of losing her son. He told the New Zealand Herald: ‘She came yesterday to attend the funeral. Apparently this morning [Saturday] she passed away because she couldn’t put up with the sorrow and sadness of losing her son. 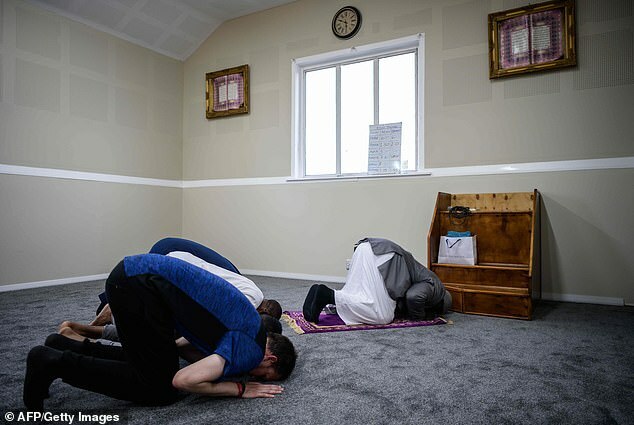 Adwan is one of a number of relatives of victims shot in the massacre at the Masjid al Noor mosque in Riccarton and the Linwood Masjid to suffer a heart attack just days later. Mohsin Al-Harbi, originally from Saudi Arabia, became the 50th victim of the killings after initially surviving the attack then dying in hospital eight hours later. The 63-year-old’s wife Manal was so distressed as she searched for him that she collapsed while having a heart attack and was taken to hospital. She is now fighting for her life in hospital in a critical condition. Sazada Akhter was seriously injured after being shot twice at the Al Noor mosque and may be left in a wheelchair for the rest of her life. Her mother in Bangladesh was reportedly rushed to hospital suffering from a heart attack when she found out what had happened to her daughter. On Sunday up to 40,000 people gathered at a park in Christchurch for a vigil honouring the 50 victims of the mosque terror attack.